Remember when Raymond and I delivered a fully customized presentation on the Bring-Your-Own (BYO) technologies in Windows 8.1 (Update) and Windows Server 2012 R2 (Update) to a group of High School students last year? Ronald Wassink and Arnold Maatman reached out to us again to inspire their seniors to lead a life of continuous learning. During three 45-minute sessions, Raymond Comvalius (Windows IT Pro MVP) and I will be sharing our thoughts on Bring Your Own Device (BYOD) Essentials with Windows technologies. 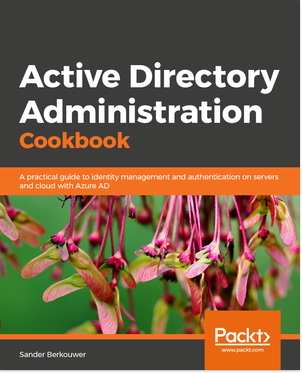 We’ll be focusing on the BYO and Identity capabilities found in Windows 8.1 and Windows Server 2012 R2: claims-based authentication, multi-factor authentication, the web application proxy, workplace join and work fold. After that, we’ll discuss the Cloud Join functionality in Windows 10. We were invited by Ronald Wassink and Arnold Maatman, the two teachers for the MBO Level 4 ICT Management Year 3 curriculum at the Graafschap College in Doetinchem, the Netherlands. Personally, I feel honored to contribute to making the education of these ICT Professionals-to-be more future proof by telling them about Bring-Your-Own technologies. Their textbooks don’t contain this information yet, so I feel getting it presented to them by two passionate Microsoft MVPs is the next best thing.